Q: I am having trouble getting a dial tone on my M22 and H series Headset, I believe it is hooked up correctly, what can I do? 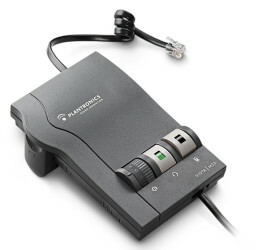 - Headsets Direct, Inc.
Q: I am having trouble getting a dial tone on my M22 and H series Headset, I believe it is hooked up correctly, what can I do? A: On most phone systems you will need to lift the handset off to the side and then push the headset button on the M22. If everything is hooked up correctly, you should have a dial tone.